Renew your commitment to astrology in Central Texas with your membership to the ASA at the current rate! $8 for ASA members and just $12 for visitors! Starting off a new partnership venture of the ASA and Astram in 2019! Some of the members & speakers may chose to dine together following the talk. Feel free to join us! 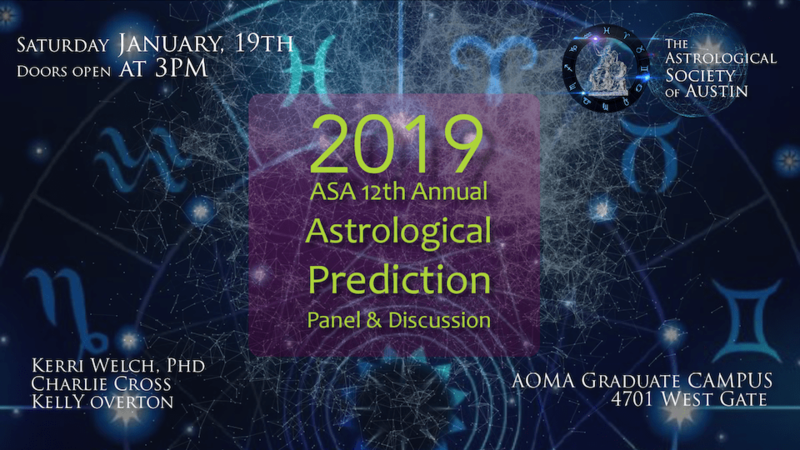 Come join us for the 2019 Panel!